Been looking at that one after I got this one. Nice Scott and thanks!! I'm a big fan of DH design aesthetics and absolutely am thrilled with the 1970 after wearing it for 2 days. It keeps nearly perfect time so far (-2 seconds/day) and I even like the silicon strap (normally I hate rubber straps and had already ordered a perf leather band from Watchgekko); my only tiny complaint is the lume on the hands is a bit weak, but overall, it's a big winner! 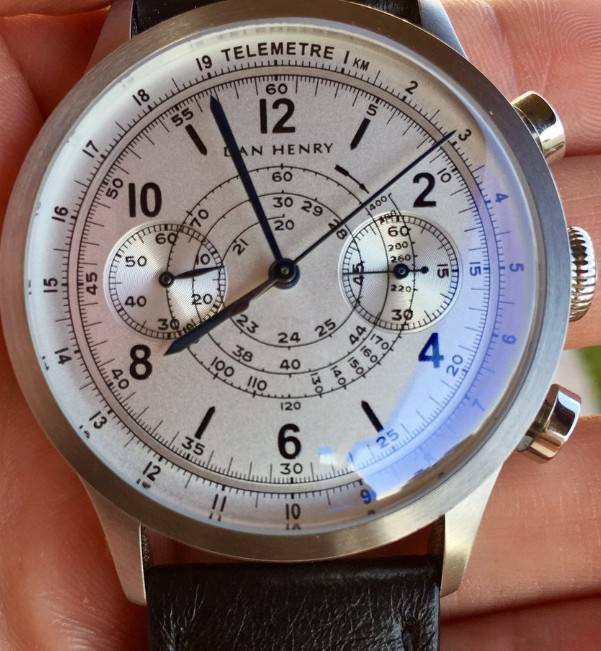 Dan Henry has some very nice retro inspired timepieces, I can tell they will be around for a long, long time.